Home / Articles tagged with "smile"
Brushing and flossing are important, but so is what you eat. An experts explains which foods should be on your ‘must’ list. You may have noticed that some celebrities, coworkers or even friends just look naturally grumpy. But did you know, there’s a science behind RBF? An expert explains. A grinning infant often has one goal in mind. Find out what it is. Are positive people more attractive? When strangers are more upbeat, others feel closer to them. 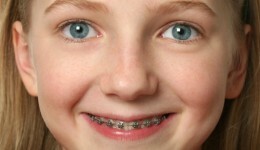 Parents need to consider several factors to ensure their kids get the correct orthodontic treatment at the right time.